Geonetta & Frucht, LLP is an award-winning law firm and our lawyers have more than fifty years of combined experience defending the rights of the injured. Geonetta & Frucht, LLP is recognized by clients and by the legal community as one of the top Oakland-area law firms. Each lawyer from our practice has many positive reviews. An experienced Oakland auto accident attorney with Geonetta & Frucht, LLP will provide honest legal advice and aggressive representation while working for the best possible resolution of your case. Victims of negligence are entitled by law to full reimbursement. The attorneys of Geonetta & Frucht, LLP will not accept anything less than the best possible award or settlement of your case. Even in California, insurance companies typically try to pay the injured victims of negligent driving as little as possible and sometimes nothing at all. An experienced Oakland auto accident attorney at Geonetta & Frucht, LLP will make an insurance company obey the rules, meet its obligation to you, and provide the full compensation that injured victims of negligent drivers need and deserve. WHAT SHOULD YOU DO WHEN AN AUTO ACCIDENT HAPPENS IN OAKLAND? If you are involved in an automobile accident, remain at the scene. In California, anyone who leaves the scene of a crash could face serious criminal penalties. See if anyone in the accident needs medical attention, and summon medical help if anyone needs it. Don’t move anyone who is injured or unconscious unless something like a vehicle fire compels you to move that person. And even if you don’t “feel” hurt or injured, it’s wise for several reasons to have a doctor examine you after any auto crash. Your health is absolutely the top priority, so you should obtain immediate medical attention after a collision, even if you don’t “seem” or “feel” injured. Adrenaline sometimes can disguise the initial pain of an injury, and without a medical examination, an injury that’s not discovered immediately could over time emerge as a serious medical condition. A medical exam also furnishes you with the documentation you’ll need if you really are injured and you pursue a personal injury claim. Be certain that you take photographs – or if you are incapacitated, have someone take pictures for you – of the accident site, your injuries, the damages to the vehicles, and the license plates of all vehicles involved. You simply cannot take too many photos. In personal injury cases arising from automobile accidents in California, the photographs you take can be convincing evidence that can make all the difference. Obtain the name, address, and insurance information for the other driver(s) in the collision, and also get the names and contact information of any eyewitnesses. The testimony of persons who don’t even know you can be persuasive and powerful in a personal injury case. Make copies of the police reports, medical records and bills, and any other documents or paperwork pertinent to the accident and injury. Do not admit any fault, agree to any settlement, or even speak with an insurance company before speaking to an Oakland auto accident attorney at Geonetta & Frucht, LLP. WHAT DO CATASTROPHIC INJURIES IN CALIFORNIA REQUIRE? Catastrophic injuries – brain and spinal cord injuries, for example – almost always require a considerable amount of compensation. When an Oakland auto accident attorney at Geonetta & Frucht, LLP handles your personal injury case, you may be compensated for all of your accident-related current and future medical expenses, loss of income and loss of future earning capacity, pain, suffering, and more. Let an experienced attorney at Geonetta & Frucht, LLP explain your rights, your options, and what you can expect when you file a personal injury claim to seek compensation after an auto collision. In some auto accidents, more than one party may be responsible for a victim’s injuries, so the law in California allows the victim – called the “plaintiff” – to pursue damages from all persons who may have liability. 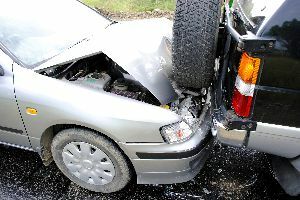 To win a personal injury lawsuit based on an auto collision, a plaintiff must demonstrate that his or her injury occurred because of the defendant’s negligence while driving. The plaintiff, with an attorney’s help, also must demonstrate that the injury or injuries actually did occur and that the defendant’s negligent driving was a direct cause of that injury or injuries. An experienced Oakland personal injury lawyer at Geonetta & Frucht, LLP can cut directly through the legal red tape and help you understand the complex terminology and the central legal issues in your case. A lawsuit always means piles of paperwork, but most of it will be dealt with by your attorney. Personal injury attorneys often work with experts who specialize in accident reconstruction. Civil engineers, medical authorities, and other experts may be asked to testify on your behalf. Your attorney will investigate and assess every detail of the accident. The more details you can provide, the easier it is for your attorney to advocate effectively on your behalf. HOW CAN YOU LEARN MORE ABOUT AN INJURY VICTIM’S RIGHTS IN ALAMEDA COUNTY? If you’ve been injured by a negligent driver, call the experienced auto accident attorneys at Geonetta & Frucht, LLP today to learn more about your right to compensation. Our Oakland auto accident attorneys represent those injured by negligence in car, truck, motorcycle, and bicycle accidents. We serve clients in Alameda, San Francisco, and Santa Clara County and throughout California. To discuss your claim with an experienced Oakland auto accident attorney, contact us online by using the contact form here on our website, or call Geonetta & Frucht, LLP at 510-254-3777 for an appointment. Your first consultation with a personal injury attorney is free.